I don't suppose you know your number? The dashboard badge is from a 2000 production car MMY 679W - car number 083. The glove box sticker is from a 1900 pre-production prototype car WGU 777S - car number 026. Badge is made from a very thin acetate-type material, about the thickness of heavy cartridge paper. The 'Centaur' wording is dull-embossed from the back to give slightly raised lettering, the 'Cavalier' wording is not embossed (too fine). Lettering is then printed on the back and then the black over that, also on the back face. Looked like this when the car was less than six years old and now been stored away in a box since I bought the car 31 years ago. Unfortunately the outer ends had disintegrated and the parts were too small to keep for reproduction. Best I can do I'm afraid and trying to remember what it looked like - thinking maybe it was diagonal stripes or chequered or maybe chevrons like my slightly dodgy sketch. Font type is exactly as the glove box sticker but about 30% larger. I think it may have been silver originally but is now gold-coloured after the plastic turned brown. If you want to make a reasonably accurate copy the 'Centaur' wording is 67.5mm overall from end of the 'C' to end of the 'r', lower-case characters are 9mm high, upper-case 'C' is 11mm high and the stylised 't' is 16.5mm high. Lower-case and the 't' letter located centrally on the strip, which is 19.5mm wide. I am guessing the badge was about 200mm long (as per the sketch). 'Cavalier' wording is very feint but is approximately 33mm long. If you want to make a reasonably accurate copy the 'Centaur' wording is 67.5mm overall from end of the 'C' to end of the 'r', lower-case characters are 9mm high, upper-case 'C' is 11mm high and the stylised 't' is 16.5mm high. Lower-case and the 't' letter located centrally on the strip, which is 19.5mm wide. I am guessing the badge was about 200mm long (as per the sketch). 'Cavalier' wording is very feint but is approximately 33m long. This is just the sort of anorak info I have been looking for !! I remember them being a smooth, matte finish clear strip (quite thick as you say), screen printed from the back, the raising might be through the plastic degrading slower due to the ink on the back. It's a shame the thinner pinstriped parts haven't survived, at least I can see the positioning, border gap etc around the font, I've got a couple of new wing/boot badges I can scan and get one of my more nerdier friends turn them into scaleable fonts. I've got some silver metallic sheets that can go through my laser printer, I can then put a matte clear sheet over the top, if that comes out pants I've got a friend that does screen printing, on clothes though, but it should be easy enough for him to do on plastic, then it just the issue of adhesive for the back. I don't suppose you have a picture of the car by any chance ? The odd thing there is also LIJ9716 that is also a 1.9 and registered before everything else, it's down an 13/08/76, so in theory the very first, although looking at that reg number there might have been a cockup at the DVLA or something along the line. You probably came across this auction last year in order to note 065 in your listing. There are a couple of errors but it does note that a red car (VMV 77S / YGW) was the first and the 1978 magazine article below states WGU 777S was the second, with differences in the design compared to production versions. I did a V888 history enquiry on WGU - will put up some details later. Decent photos will be tricky as it is locked away in storage away from home at the moment but I will see what I can do at some point. LIJ 9716 may be a red herring - cannot see KJ Motors registering a car at Downpatrick, County Down VRO. All the KJ cars are London and South East VRO - MV, GU, GW. Even my 083 was first registered at KJ Motors - MY. Possibly a typo with the dates, or when the car was exported or re-registered? The colour is called Orange Tan. I worked at Vauxhall dealer KJ MOTORS Bromley which was owned by Garth Macgraw who also owned Magraw Engineering. He was also best friends with the owner of Crayford Convertibles who lived locally to Bromley in Kent. All cars were Cavalier GLS Coupe models and never the Opel Manta versions. I am not sure how many were made but i think about 200. The very first one made was a solid red one which remained in the ownership of Garth Macgraw in his Bromley showrooms until his death in 1983. Section 3 press photos, Section 8 Centaur. Should be able to read the article featuring WGU/026. Some of the dates and details do not seem quite right (stating there was only one 1900 for example, when you know different...) but he has got access to a lot of info. on the site. 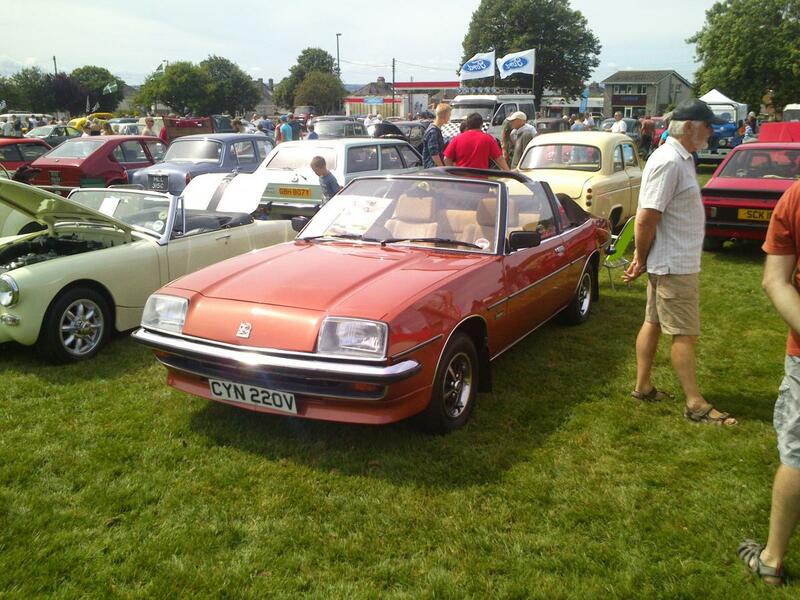 I have not been in touch but whilst researching the history of my Chevette 2300HS I spoke with Andrew Duerden at Vauxhall Heritage - he was very helpful with the HS but unfortunately Vauxhall have nothing regarding Centaurs. Which is understandable really because as Andrew rightly said, the cars were not a Vauxhall engineered product even though they were sold through the dealers. What other published info. do you have? I have a copy of the original 1978 Autocar article - has some fantastic colour pictures of VMV/YGW and I think possibly also WGU on the title page. When I get to a decent scanner in a week or two I will try and get a copy posted up if you are interested. There may also have been another article featuring WGU 777S. One was posted on the OMOC site a good few years ago but will have disappeared when the site was upgraded - be interested to get a copy/scan if someone has one. I received a spreadsheet from Phil Scrivener (former owner of my car twice and used to run the Cavalier Convertible Club) with loads of production numbers on, so I'll fill myself with coffee and get beavering away merging all that info. KGN753T (29) has the Crayford hood mechanism, I'm missing all info on 28 but that could be LIJ9716 or CVT255T as that's an early reg. Interestingly all the Crayford produced cars have the grille badge from the FE Victor 2300 on the B pillars, slightly smaller and smooth as opposed to embossed. Macgraw Engineering press release "Date-line Motorfair"
John Taylors article "Vauxhall Cavalier 1300 and Centaur", not sure what that was published in, is that the Autocar article ? Just found a picture I took a couple of years ago. That's number 69, and a better picture than the one I have, do you mind if I use your photo? John Taylor article was 'Country Life' July 1978, according to Vauxpedia site. 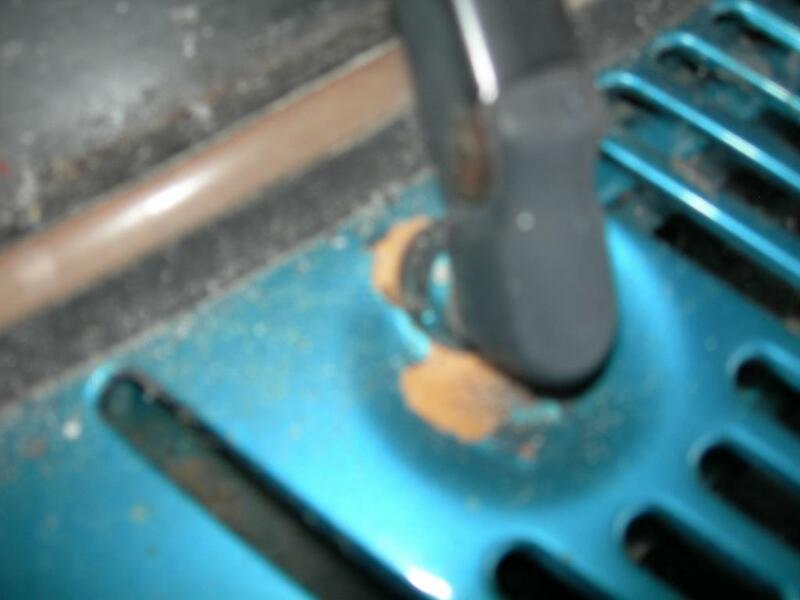 Wondered what that was - was too small to see clearly when the car was on eBay. That's ok. I have more but can't find them at the moment. 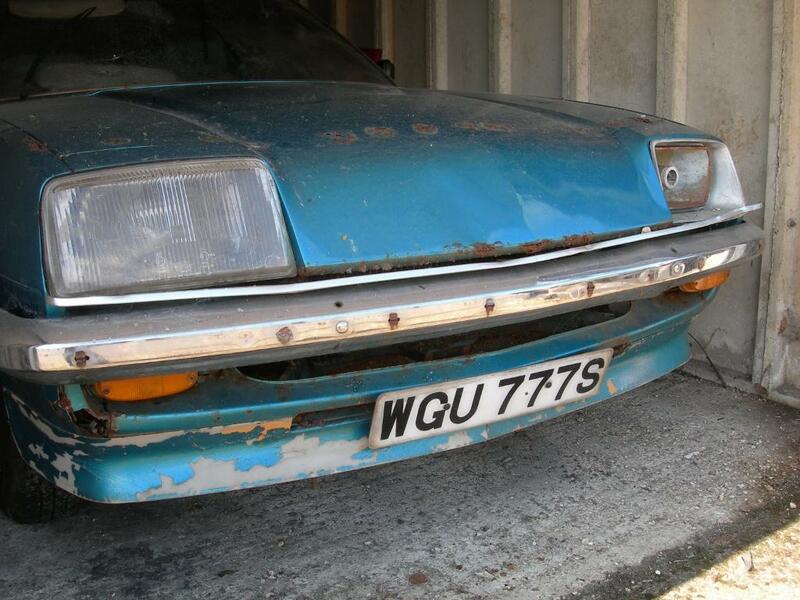 I've been working with Crayfords, Vauxpedia and the now defunct Cavalier Convertible Club trying to build a database of all the Centaurs that were made, I've managed to compile a list of 55 cars, I've got the production number for 33, the highest one so far being number 83, as the numbering started with number 25 I'm starting to question the 100+ made figure, Crayfords don't seem to have a total number, probably because they didn't make them, is there anything in the KJ archives that would help to shed some light? Also any photos (preferably showing a reg number (I've only got pictures for 20) would be greatly appreciated. I will try and add the original reg of the one I have ASAP. A mate of mine still has the Black one on the list SJU 257W, it's been in his garage for years and need work doing to get it back on the road, it's in the Leicester area. One of my favourites along with BCV205T, the wine coloured one. I've been checking the registration numbers in the database against the records at the DVLA, conclusions so far. 8 are still running (assuming one of the cars in Norway is roadworthy), one of which I don't have a production number for. I've just been sent that by Mark Ridley of the Nova Sport Register. Just received about 25 emails from Barry Priestman of Crayfords all with pictures attached, that should keep me busy this evening cross referencing that lot. Yep, Colorado Beige. Original colour showing under the flaking paint on the chin spoiler and around the wiper spindles. No idea what the current blue is called. Car will go back to original shade when restored.